Thank you to our wonderful Summer Reading 2018 prize sponsors! ​The Clean Plate Kitchen believes in locally sourced, clean eating, and this philosophy drives every decision in the restaurant. It is our intention that every plate put in front of you is Feel Good Food: food you can feel good about because you know it’s healthy, allergy friendly, and locally and sustainably sourced. 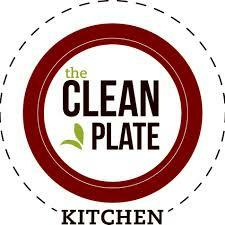 Visit the The Clean Plate Kitchen! Blue Corn Grill is a family owned and operated restaurant featuring modern Mexican food located in Milford, New Jersey. Ideally situated on the border of Hunterdon and Warren County, we are just a few miles from Frenchtown and Alexandria Township, right across the river from Upper Black Eddy, PA, and just a 15 minute drive from downtown Easton, PA.
​Our passion is sharing the magical yerba mate and its mythical origins, while inspiring the most positive systematic changes for the people and forest along the way. Our mission is to steward and restore 200,000 acres of South American Atlantic rainforest and create over 1,000 living wage jobs by 2020 by leveraging our Market Driven Restoration business model. Our MARKET-DRIVEN-RESTORATION business model directly links our customer’s purchases to our partner farming communities in the South American Atlantic Rainforests. Our partners sustainably harvest organic yerba mate from rainforest grown cultivations and reforestation projects, generating a renewable income stream which enables these communities to improve their lives and restore their lands. ​At Villa Milagro Vineyards we are committed to preserving the earth for its current and future generations. Hard labor replaces agricultural chemicals - for example we use hoes to remove weeds under vines instead of dousing them with herbicides. Proprietor, Steve Gambino, is a genius at building equipment to help save our backs. His multi-purpose mower-edger-flamer is a "one-of-kind" device for mowing, trimming the edge of the rows and removing weeds from under the vines. It is really cool to see the flames in the night sky. This is one of the oldest family-run bookstores in New York. Fred Bass takes us round the vast and marvellous collection of new and rare books that was started by his father in the 1920's. ​Priced-To-Thrill Party Supplies, Toys and More for Life's Everyday Celebrations. Free catalogs available · Lowest price guaranteed · Over 80 years of fun! ​ We scour the U.S to save damaged World Atlas, Dictionaries and rare Sheet Musics and turn them into artwork before they disappear for good. Our paper is currently up to 150 years old. Each duplicate is a one of a kind because we match the top words to the artwork and the artwork to the paper so everything you see is there for a reason ! All you have to do is take a very close look at the paper and it should start to come into view. We then actually paint on the paper using what is known as Mixed Media Artistry. From digital outlining and photography to free hand painting with charcoal, chalk, water colors, graphic pens and two oil based crayons. As a second generation candy making family, our passion is creating craveable ways to combine modern tastes with our proud European heritage. Carefully crafted innovations come to life in our central coast California Chocolate Factory where we layer the most fun, flavorful ingredients we can find with rich, fair trade chocolate. The result: a collection of snackable, shareable and giftable creations that you’re sure to enjoy. Here’s to you and your amazingly good taste.